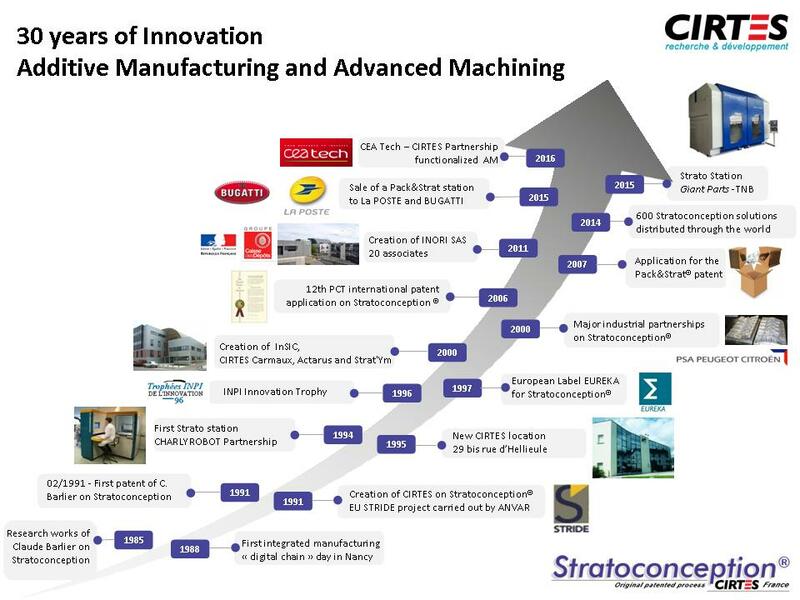 Cirtes history begins in Nancy, mid-1980s, when Claude Barlier carried out a research and filed out his first patents of two innovating technologies developed by him: the Actarus® Machining Surveillance process and the Stratoconception® Additive Manufacturing (Rapid Prototyping) process. In November 1991, Claude Barlier created CIRTES in Saint-Dié-des-Vosges in order to develop his patented research work. The project is awarded with the label and the support of the European program STRIDE, led by ANVAR. Machine Monitoring by the Actarus® system.